I have always found it notable and actually significant that the PLATO community first started with Notes, meaning, group communications or message forums, rather than Personal Notes, meaning email. Notes arrived in 1973, and Personal Notes came about in the first half of 1974. Why is this significant? Well, let's take a look. In 1973, the early PLATO IV system had no email system yet. But given that the system programmers at the Computer-based Education Research Lab (CERL) tended to work random hours -- some were daytimers, some were night owls --- and their offices were scattered around a five-storey building, the way they tended to communicate online to one another was via a series of TUTOR lessons, just plain source code files, called notes1 through notes19. They used the honor system: anyone could go in and edit the "notes file" but you were expected to be on your best behavior and not delete any existing text, or change anything. The idea was: append your comments, sign it with at least your initials, and get the heck out as soon as possible because nobody else could edit the file if you were in there. As you can imagine, this only worked for a while. On more than one occasion, some joker would go in and mess with the existing questions or answers, or delete the entire text. Paul Tenczar, one of the senior system programmers, was finally exasperated enough at the situation and at the lack of a real system application for notes that he asked then 17-year-old Dave Woolley, who had only recently wandered over to CERL with classmate Kim Mast, both of them Uni High students, to work in the summer on creating a real system application that had authentication and enabled users to post notes, reply to other notes, and finally solve this problem. On August 7th, 1973, lesson =notes= was released on PLATO. Initially it supported three "categories": notes regarding new system feature announcements, general notes for the public, and "help" notes, or requests for help. What is interesting to me is that PLATO's email feature, Personal Notes, written by Kim Mast, didn't come out for a while yet. And this is where things get interesting vis-a-vis the Internet and the Web. On PLATO, users became acquainted with the benefits of group communication and collaboration -- emphasis on group -- far earlier than they did on the Net. Think about it: ARPANET started with email as early as 1971 (although there were various primitive earlier instances of it on various systems going back into the 60s). Yes, there were experimental message forums on ARPANET from circa 1971, but they were relatively isolated and not "mainstream", that is, everyone didn't use them. 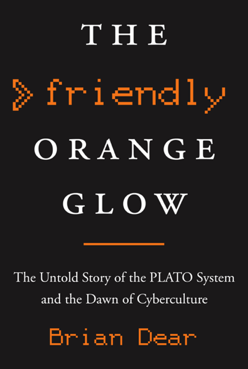 On PLATO, pretty much all author-level users were exposed to and participated in the Notes capability, and it became the de-facto method for communicating and sharing ideas with colleagues, among many other uses. On ARPANET, later Internet, and I would argue even still on the web today --- especially in workplaces --- think about your own situation: do you work at a company with more than 25 people? Do you live in email all day? Does that not describe life in most companies? --- email is the predominant communications tool, not group notesfiles or message forums. Some teams here and there use message boards, some use wikis, but almost everybody uses email as the de-facto standard for group communication, despite how messy and cluttery email is for such purposes. Remember how the media used to talk about the Information Age was one where companies were filled with "knowledge workers"? More like companies have become filled with people dealing with way too much email. Think about the typical work-related email thread: somebody sends out a note and cc's a bunch of people, and you're on the cc list. Then some of the recipients post replies, replying to all. Then more. And then even more. And usually, everyone "quotes" the previous messages as appended text, so the actual message length keeps growing, even if all you post in your reply is "i agree" or "i disagree". Every single time someone sends out an email reply to all the recipients, they all individually get a new unread message in their inboxes. During the course of a single day, a busy company can cause dozens if not hundreds of new, unread emails, many of which with "Re:" or worse, "Re: Re:" or "Re: Re: Re:" threads in them. It's a productivity nightmare, and yet, this is still the way things pretty much are for most workplaces. PLATO users lucked out and saw the benefits of using Notes for group communication and collaboration right from the start. In fact, there was no "cc" or "bcc" option in Personal Notes -- it was for you to send a single message to a single recipient, period. Later the capability to forward a personal note to another user was added, but there was no cc list that I can recall (it may have been added years later on NovaNET but then I'm not even sure about that). So PLATO users naturally gravitated to using the group-oriented Notes application (which by 1976 had expanded to support the ability for anyone to create their own "notesfile" and control who could have access to it, making it ideal for private collaboration and discussion among a select group or team). It is unfortunate that the Internet/Web did not evolve similarly, with a clear delineation between email and group messaging -- or a better architecture right from the get-go that merged email and group messaging. Ray Ozzie and the team at Iris Associates built the wildly successful Lotus Notes, which attempted to take the learnings from PLATO Notes to the networked personal computer arena, but despite its success, in the end it was a proprietary system that only thousands of businesses adopted -- not millions. (Sure, Lotus Notes, now part of IBM, can claim over 100 million end-users, but the Internet has well over 1 billion, soon no doubt to be 2 billion if we're not there already, "end-users". So Lotus/IBM have not changed the way most people communicate.) Today, the default is email, not a group collaboration system. Lots of companies over the years have tried to offer products that change this -- most notably Google's recent Gmail and Wave services, which enable you to think of group communications more as conversations, and conversations are considered atomic items, rather than simple individual messages -- but despite even their success, we are still stuck without a PLATO-style Notes solution that is the defacto standard for the Internet. This is unfortunate and I wish it could change, but I don't see it changing until Google, Microsoft, Apple, Yahoo, and the dozen or so other players who, together, have the majority of worldwide population using their communication tools, to agree on a new standard. And that ain't likely.